So here we are, a very proud moment...The first piece of furniture is nearly complete and ready for a good home. I have a few final touches to complete next week to get the table ready for shipping and some lucky person will be the proud owner of this fine table. 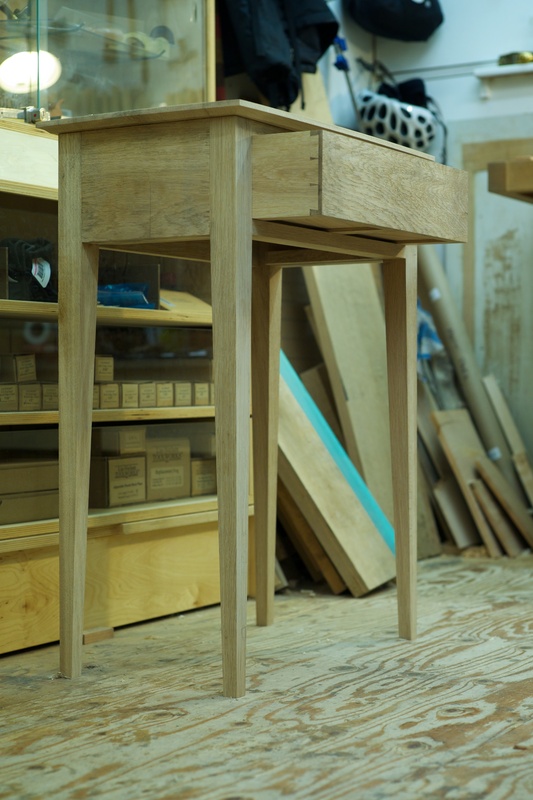 I am delighted how it has turned out, it has been an interesting exercise to see a design concept through to completion, the table is made from solid English Oak and will sit most comfortably in a hall or as a side table. The table will have taken five weeks in total, from design, the first cut through to the final rub of polish and next week you could be the proud owner of this stunning table. . I will start an auction next week, the reserve price will be the cost price of the materials including the cost of shipping. This is an excellent opportunity to be the first to own a unique piece from Petrel Furniture. 1. 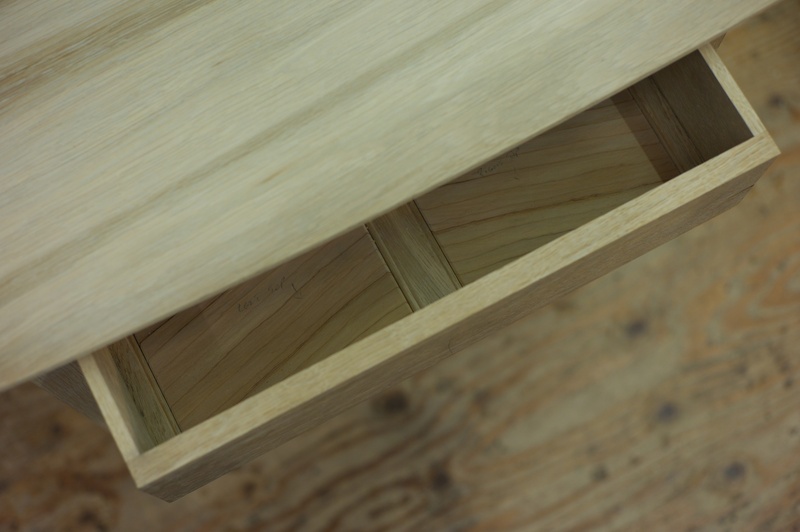 Fit the drawer stops - the bits that stop the drawer in just the right spot when closing. 2. 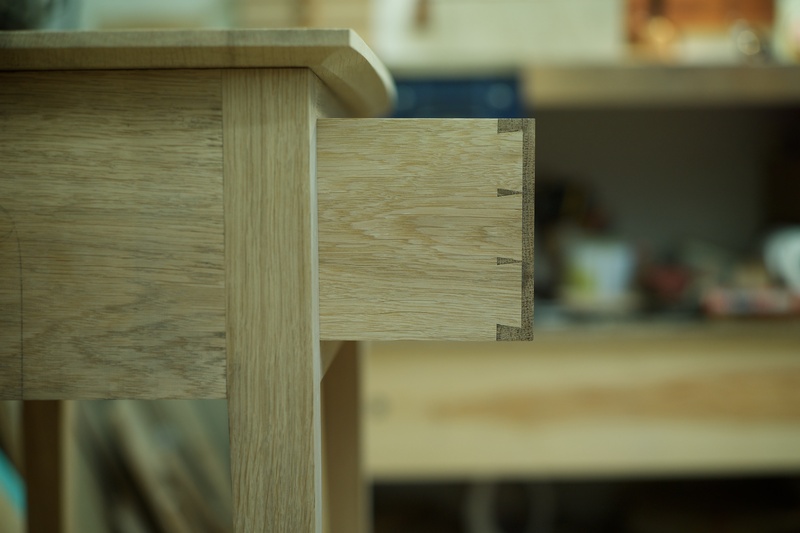 Put a fine in-lay line of holly (the wood) around the curve of the table top. I will be using a tool called a scratch stock for this, this is one of those ancient tools you may well have uncovered in your grandfathers shed, it has been around for centuries and is a simple way of scratching a fine line into a surface, I made my own scratch stock in my first term. I will write special blog posting on this process as it really is such an elegant process and I'm sure interesting to many. 3. 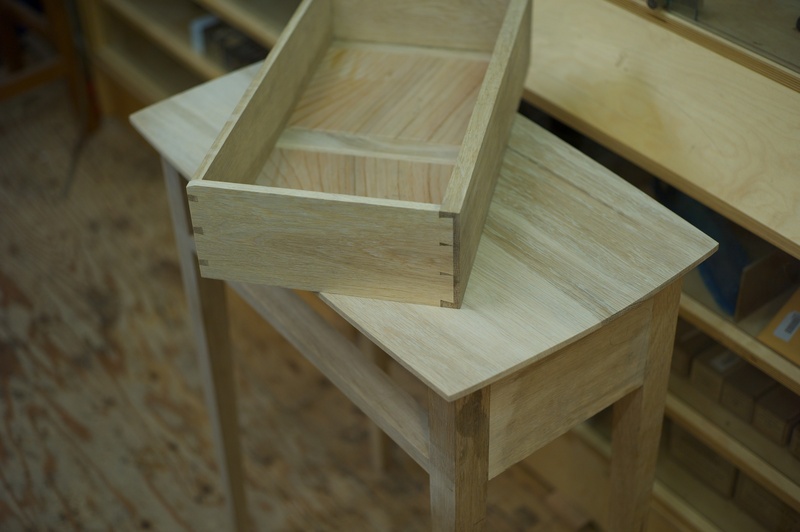 Carve a handle for the drawer. 4. Polish: I am thinking of a simple soft sheen, perhaps a fine wax applied in several coats over the next week. Auction details will be sent in next weeks post.